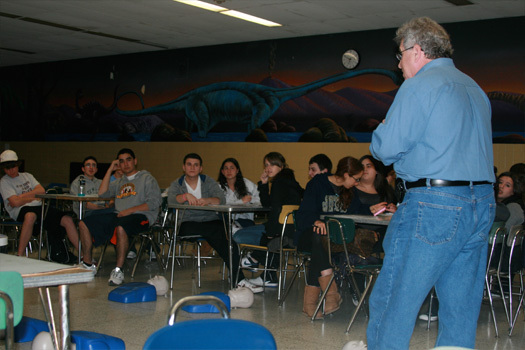 The Robbie Levine Foundation – Teens for Life : A high school program providing teenagers free first aid courses in AED/CPR. We will send you the information to begin your own program. 'Teens for Life' has trained over 1200 high school students since its inception. Regional high school participants include: Kennedy, Calhoun, Mepham, Wantagh, Oceanside, and St. Dominick's. "Cardiac arrest is currently the leading cause of death in the United States. 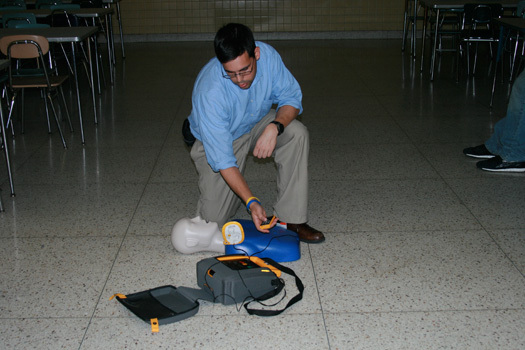 Many of these deaths could easily be prevented by the use of an AED, or by performing CPR. 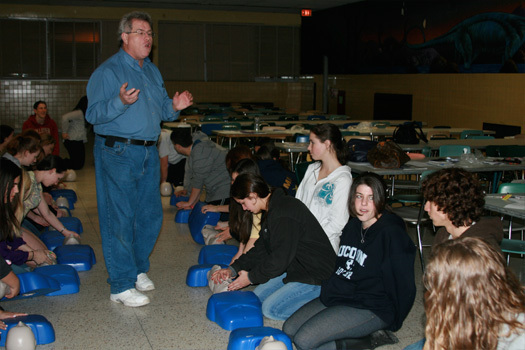 Please help to implement life saving courses in high schools throughout the nation by funding training, or introducing this program to your own school. 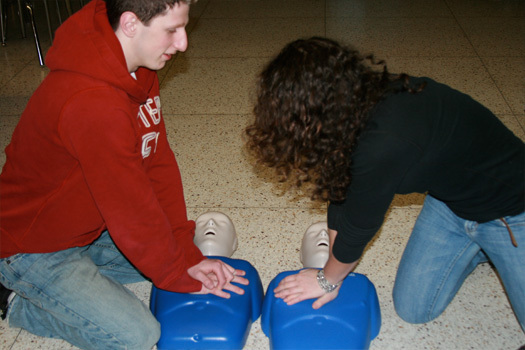 A simple training class can provide high schools with something more valuable than what students learn in math class or social studies: how to save someone's life." "It was a fun & educational class that prepared me, and made me feel confident that I know what to do in the event of a life threatening situation." "It was an unbelievable learning experience, which will benefit me for the rest of my life." "The class was very informative, and helpful. It gave students access to lifesaving information that although everyone should know, is not always available to people our age." "It is satisfying to know how a simple three hour class may be able to add hundreds of thousands of hours to another's life." 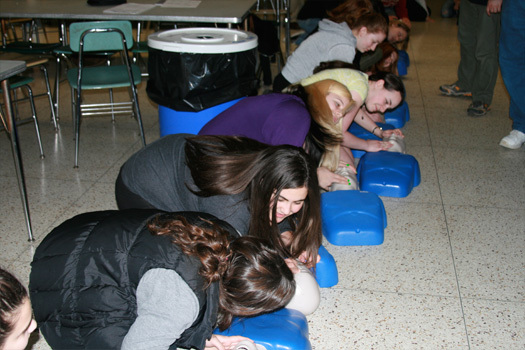 "At any moment, in any situation, the basic knowledge gained in a CPR and AED training class can help you and your peers protect those in need." "The class was a great opportunity to learn a very important skill. It is a great thing that it was so available to students. 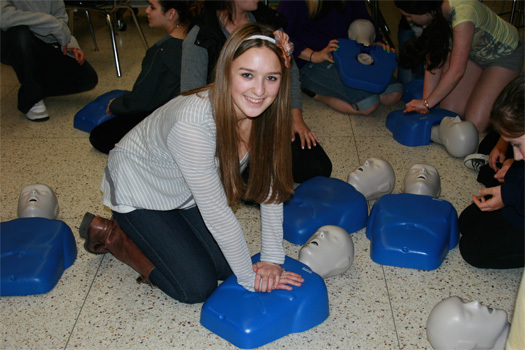 I feel like all high school students should be given the chance to learn how to perform CPR, and how to operate an AED because you never know when a situation may arise where these skills may be needed." "It made me feel like I could make a difference in a time of need and, save a life." "I finally can say that I can make a difference in my community because I can help others in a desperate situation." 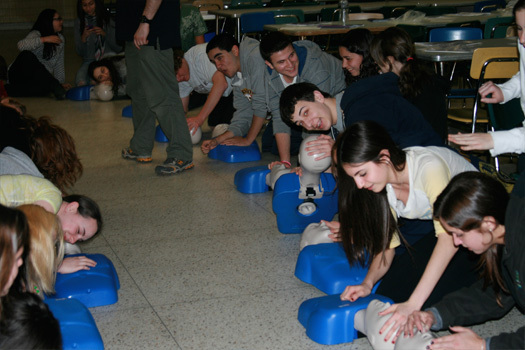 There is currently a proposed bill in both the NY Senate and NY Assembly mandating that all high school students in New York State receive CPR & AED training as part of their health education curriculum, prior to high school graduation. Recently, 'Robbie Levine Foundation- Teens for Life' founders (Jill, Craig, & Kayla) went to Albany, NY, to lobby with the American Heart Association in support of this bill. We obtained several new sponsors in petition, and really hopeful that this bill will be passed into law. Please join us in support, by contacting your local representative.